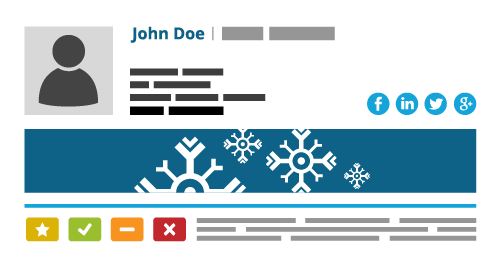 The marketing team creates a beautiful email signature template for outgoing messages. The graphic designer sends custom-made banners, logos and the project to an HTML-proficient team member, who cuts, slices and translates the image into HTML. The legal team adds their 2¢ by creating and sending a legal disclaimer. Marketing sends the HTML code to IT. 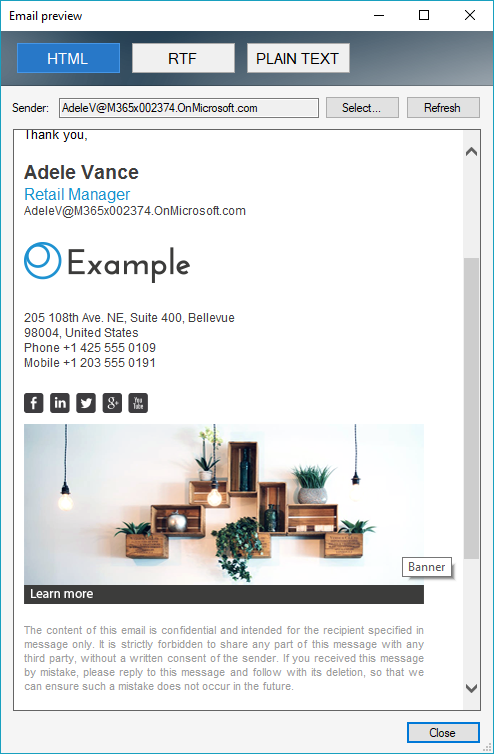 The admin, after he is done fixing printers, installing drivers and doing his usual maintenance tasks, watches the video above for a quick refresher on how to set up email signatures on Office 365. The mail-flow rule gets added to the existing ones. Before making it live, the admin double-checks if it does not collide with the existing ones. Then, he sends a test email. The test email does not turn out that great. Because of a typo, contact details are not auto-populated. What is more, the design looks completely different in Outlook and Gmail. Then, marketing team makes some changes in the HTML code and sends it to IT… The back-and-forth continues until the signature looks ok. The list of steps above outlines some of the problems you might face. And that’s the optimistic scenario. Add to it that IT isn’t just for show – they have their own tasks and email signatures are rarely on the top of their priority list. And marketing – think about repeating the whole story all over again whenever you want to change a banner. Oh, and don’t forget about creating multiple email campaigns and different designs for different teams. The signatures are not visible while creating emails or even in Sent Items. This generates problems from the legal team’s perspective – there is no easy way for a user to verify if the signature, together with the disclaimer, was added successfully. There is no way to add users’ photos to signatures automatically. Signatures appear at the very end of conversations, which renders them almost utterly useless for replies and forwards. To learn more, take a look at Limitations of Office 365 email signatures. This looks like a task which should be extremely easy, in fact, generates a huge pile of problems. It’s good that there is an extremely easy solution to the problem. Finally, to check what the signature looks like, you do not have to send out test emails. 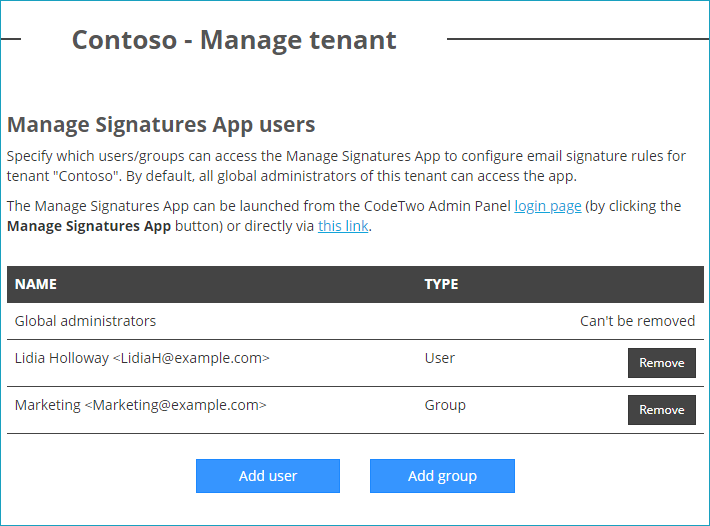 It is enough to use the Preview button and see how the signature changes for various Office 365 mailboxes. Central email signature management does not get any easier. 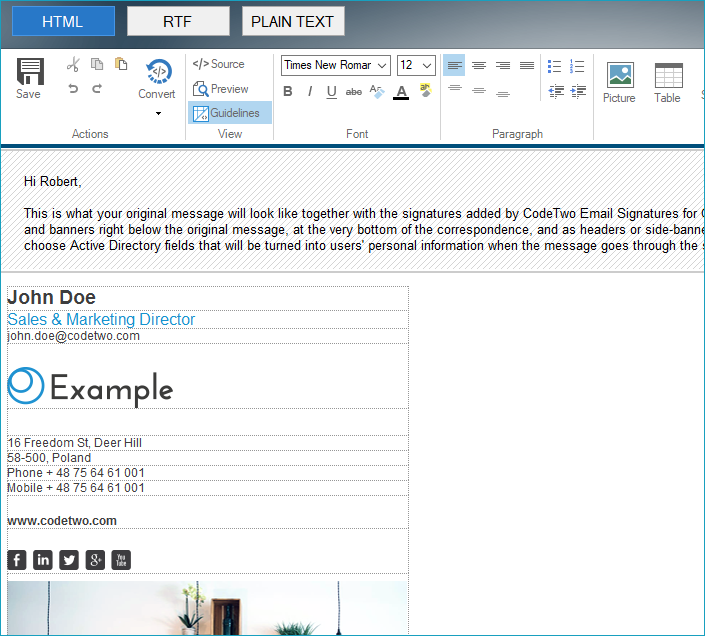 To learn more about CodeTwo Email Signatures for Office 365, and test it using a fully functional 14-day trial, visit its website.